Steampunk fashions have become increasingly popular in recent times, but many people still don't know what it refers to. Steampunk is sort of like the Victorian-era future that never was. This fancy jacket is one example of Steampunk fashion. 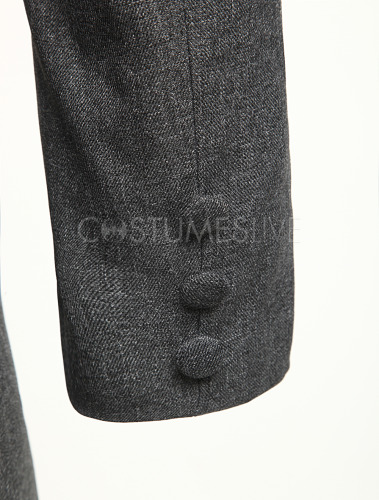 It's made from a great jazz cloth material in a handsome gray color and features a knee length, single breasted design. 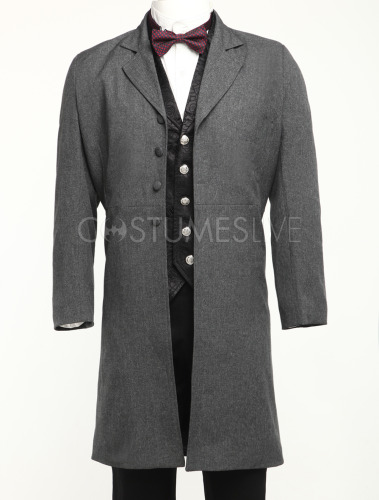 It has a button closure half way up the front as well as a slit pocket on either side. 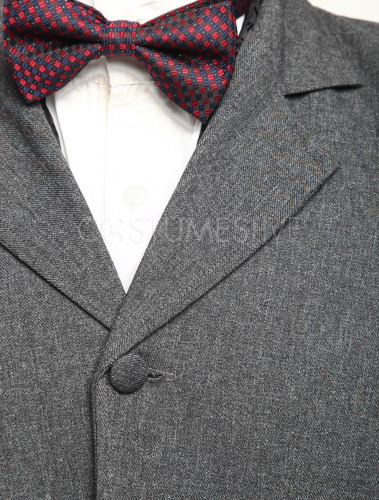 The collar is round and traditional as are the jacket cuffs. Just an excellent addition to any Steampunk or Victorian Cosplay fan's wardrobe. Does this comes with the vest and the thing around the neck or is it only the coat? thanks! Hello this is Danielle; i love to gift a dress for mother, father and my lovely husband. This long coat is looking very decent. I want to purchase this for my father. It is suits on his personality and he is also looking so decent. I order it to now please deliver it in good box and also safely. I am waiting for this. After one moth my father is going to Mexico for some office purpose so i think this is also looking very smarty and winter season is also coming so this is more useful. 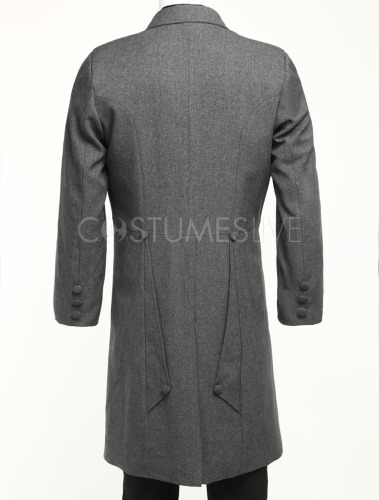 Thank you so much for this precious cool charcoal gray jazz cloth men’s long coat.